It’s not an unfamiliar scenario: A university (or a hospital or an airport or even a municipality) carefully crafts a shuttle system to get people around, factoring in traffic, speed limits, and stop times. And even after agonizing over every detail, the buses still don’t run on time. Argh. It was a big challenge at the University of Florida Health campus until administrators decided to do something a little revolutionary: Turn the problem over to students to solve. And guess what? Using a complex mathematical theorem and some careful calculations, they did it. The shuttles run on time and everybody’s happy. 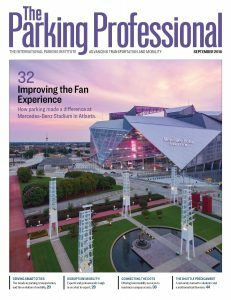 Read about the campus’s shuttle predicament and exactly how their smart students figured it out in the September issue of The Parking Professional magazine. After that, check out the full report generated by the students outlining their whole proposal in IPI’s Resource Center. Will their creative solution work for your shuttle system? Comment here and let us know!